As technology advances, the customer journey has evolved—and has become even more complex. In the modern age, technology has created incredibly immersive, sensational shopping experiences. Augmented reality (AR) and virtual reality (VR) have unleashed new retail capabilities, leading to higher consumer expectations. Shoppers can browse their favorite brick-and-mortar stores and purchase items without leaving the couch. Other digital technologies have unlocked new ways to reach customers and get a message across. Explore how tech has changed the customer journey—for better or worse. It’s vital to understand the technologies that come into play during the customer journey. It’s never been more important to map your customer journey than it is today. Modern innovations can and will improve the customer experience, but only with optimized solutions individually tailored to a business’ various customer segments. The only way to invest in the correct customer-friendly technologies is to find out which technologies are most appealing and helpful to your unique audience, and learn how to capitalize on them to improve your brand. In the past, customer journey mapping was simple and mostly linear. Channel hopping was as limited as the channels available—mostly television and paper ads. As a result, tracking the buyer journey was relatively simple. Today, consumers have dozens of channels through which they can shop and learn about items. The average number of touchpoints before a brand makes a sale now rests at around 13. This leaves a lot of room for error if a company does not follow closely along that journey. Mapping the buyer journey may not be as simple as it once was, but it is even more crucial to business success. Creating a map will help you achieve a greater return on your marketing investment, generate more revenue from customer referrals, and achieve more social media mentions (for the right reasons). Not surprisingly, focusing on the customer journey leads to a better customer experience. Once you have your map, you can understand where different technologies come into play. Cater to shoppers as a tech company. Tech companies have cut out the person in the middle and begun catering directly to shoppers, advertising smart beacons, digital signage, and AR/VR technologies. Catering directly to customers keeps the buyer more informed and in control of his or her own shopping experience. Merge the online and in-store retail experiences. Consumers today expect brick-and-mortar retailers to have an online presence, including a website where they can shop their favorite styles from home. They also expect brands to incorporate digital signage and beacons to integrate the Internet of Things into the store. The two experiences have become intertwined, and both are equally important to business success. Research through VR. 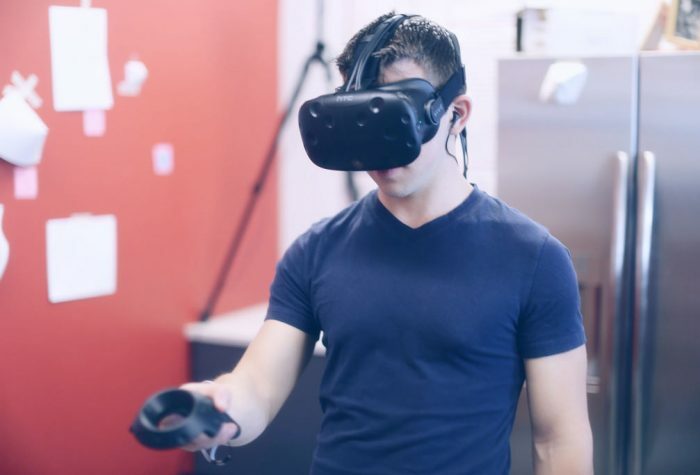 As virtual and augmented realities fall more easily into the hands of the average consumer, VR will play a part in how a consumer researches a brand before making a purchase. A consumer will be able to explore a shop in VR and see items and products up close before making a decision. Shop from home. Online shopping is nothing new, but the prevalence of shopping from home over visiting a brick-and-mortar store will result in new ways to research items from home. Customer reviews, VR tech, and fast and affordable shipping methods will make shopping from the couch more popular. This calls for retailers to optimize the online shopping experience. Make a purchase without human interaction. The virtual shopper journey has become so intimate, engaging, and realistic that shoppers feel more comfortable buying items without having a human interaction. Online chats and video capabilities are becoming enough for shoppers to make purchasing decisions. Facilitate this change and become a go-to online brand with a simple return policy. The retail industry has become survival of the fittest—only the companies that master the customer journey will survive. Retailers cannot ignore the technologies that are changing the way customers shop. Instead, they must understand and capitalize on new sales tools. Technology may have closed the door on simple customer experiences, but it has also opened a window to amazing new opportunities to reach and engage with buyers.